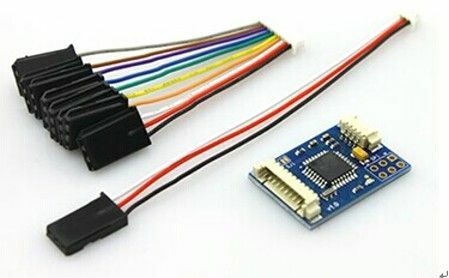 The PPM Encoder plugs into the PWM servo output ports of any R/C receiver and encodes them into a PPM pulse suitable for many autopilots (e.g. Pixhawk). Modifications to the R/C receiver are not necessary. 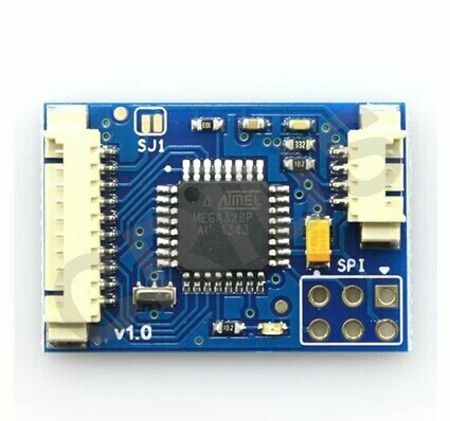 The whole project is based around the ATMEL ATMEGA328p AVR processor and all timing is done within interrupts so accuracy and stability is optimized. Firmware is free and was created by John Arne and Olivier Adler. 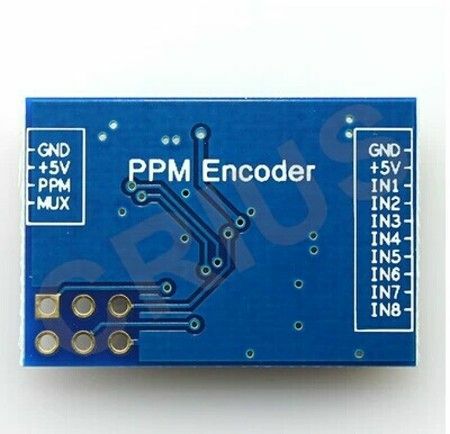 The design of the PPM Encoder is based on the Paperazzi PPM Encoder. Important Note: The firmware comes pre-configured to read 8 Channels. In case you would like to change the settings of the PPM encoder to invert the PPM signal and change the fail safe pre-defined values you will need an AVR ISP programmer in order to reprogram it.